Satan was the cause of Job's suffering! He had claimed that Job was serving God merely for what he was getting out of it—God's protection and riches; and that Job's integrity would disappear as easily as his riches. (Job 1:8-12) But Jehovah knew Job intimately, that his righteousness was beyond question, and that under test Job would prove Satan to be the liar that he is. (John 8:44) In order to weaken Job's confidence in himself and God, Satan employed the help of three companions of Job, who traveled a long distance in order to commiserate, and to accuse Job of being guilty of secret sins for which he was now being punished. There is nothing more discouraging for a person than to be told that he is not worthy to worship God. But they failed to break Job's estimation of himself and his trust in God. What about us today? Is your resolve to remain loyal to Jehovah in jeopardy when you experience injustice and suffering in your life, perhaps showing a tendency to blame Jehovah for allowing it? This might be compounded by individuals who, like Job's wife and the three visitors, may tell you, "Are you yet holding fast your integrity? Curse God and die!" We see this attack on one's integrity expressed on the various forums on the internet, where many distressed worshipers of Jehovah go to seek encouragement, but instead find that they, like Job, are vilified for their continued faith in God's righteousness. "The prophets who declared the word of the Lord are your role models, my brothers and sisters, for what it means to live patiently in the face of suffering. Look, we bless and honor the memory of those who persevered under hardship. Remember how Job endured and how the Lord orchestrated the triumph of his final circumstances as a grand display of His mercy and compassion. "—James 5:10,11; 1:2-4; The Voice. When men and women get their hands on religion, one of the first things they often do is turn it into an instrument for controlling others, either putting or keeping them "in their place." The history of such religious manipulation and coercion is long and tedious. It is little wonder that people who have only known religion on such terms, experience release or escape from it as 'freedom.' The problem is that the freedom turns out to be short-lived. Paul the Apostle was doing his diligent best to add yet another chapter to this dreary history when he was converted by Jesus to something radically and entirely different - a free life in God. Through Jesus, Paul learned that God was not an impersonal force to be used to make people behave in certain prescribed ways, but a personal saviour who sets us free to live a free live. God did no coerce us from without, but set us free from within. It was a glorious experience, and Paul set off telling others, introducing and inviting everyone he met into this free life. In his early travels he found a series of churches in the Roman province of Galatia. A few years later, Paul learned that the religious leaders of the old school had come into those churches, called his views and authorities into question, and were reintroducing the old ways, herding all those freedom-loving Christians back into the corral or religious rules and regulations. Paul was, of course, furious. He was furious with the old guard for coming in with their strong-arm religious tactics and intimidating the Christians into giving up their free life in Jesus. But he was also furious with the Christians for caving in to the intimidations. His letter to the Galatian churches helps them, and us, recover the original freedom. It also gives direction in the nature of God's gift of freedom - most necessary guidance, for freedom is a delicate and subtle gift, easily perverted and often squandered. ―The Message Bible. "So we’re not giving up. How could we! Even though on the outside it often looks like things are falling apart on us, on the inside, where God is making new life, not a day goes by without his unfolding grace. These hard times are small potatoes compared to the coming good times, the lavish celebration prepared for us. There’s far more here than meets the eye. The things we see now are here today, gone tomorrow. But the things we can’t see now will last forever. "―2 Corinthians 4:16-18; The Message Bible. Examining the Scriptures (for Sunday, April 26, 2015) states: "Obedience to those who today are taking the lead among us is vital. Think of how Jehovah communicated with his people during critical times in the past. When the people of Israel left ancient Egypt, God’s orders for them came through Moses and Aaron, who acted as bearers of Jehovah’s instructions to his people. Very likely, you can think of numerous other occasions in Bible history when Jehovah provided life-saving instructions through human or angelic representatives. In all these cases, God saw fit to delegate authority. Messengers spoke in his name, and they told his people what they needed to do in order to survive a crisis. 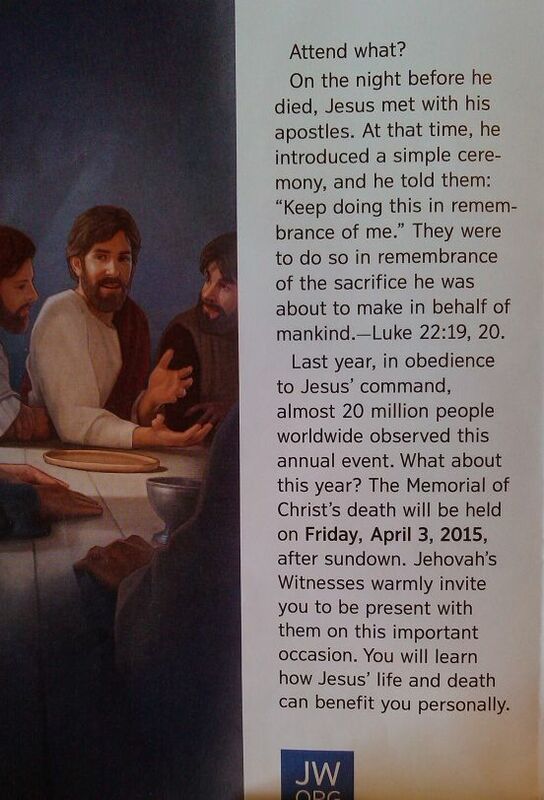 Can we not imagine that Jehovah might do something similar at Armageddon? Naturally, any elders today who are delegated the responsibility of representing Jehovah or his organization must be exceptionally careful never to abuse the authority entrusted to them. "— w13 11/15 4:14, 15. As we approach "the war of the great day of God the Almighty" at Armageddon, we do not need additional information to that which has already been provided in the Scriptures by God's Son; which, for example, is also contained in the book of Revelation. (Rev. 1:1-3; 16:13-16) No doubt, at that time, these Scriptures will become clear to God's people as they are taught by holy spirit, "even the deep things of God." (1 Cor. 2:10; Zeph. 2:1-3; 3:8,9) Please be aware that it was foretold that many false prophets would seize the opportunity to spread their own lies and confusion, doing so in God's name. (2 Peter 2:1-3; 1 John 4:1) But we know that "God, who long ago spoke on many occasions and in many ways to our forefathers by means of the prophets, has at the end of these days spoken to us by means of a Son, whom he appointed heir of all things." To him alone belongs our whole hearted attention! According to the World Christian Encyclopedia: A comparative survey of churches and religions - AD 30 to 2000, there are 19 major world religions, which in turn are subdivided into a total of 270 large religious groups. In addition, it is estimated that there are as many as 4,200 smaller "faiths" or "belief systems" in the world. If there exists only one true God, why such profusion of confusion when it comes to religion and worship? Does it matter how, or where, or even who we worship? If God has a people, should we expect the same confusion to exist among them? Indeed, are God's people scattered among these many diversified religions? Now, if a person actually believes that Jesus returned in 1914, then he has a very difficult time indeed to explain the prophecies in connection with Jesus' presence, because the things that are foretold to happen in connection with his presence haven't happened yet; —such as the Master settling accounts with his slaves to whom he had entrusted his talents to do business with; and the subsequent removal of the "man of lawlessness" from God's temple, "whom the Lord Jesus will do away with by the spirit of his mouth and bring to nothing by the manifestation of his presence." (Matt. 24:45-51; 25:14-30; 2 Thess. 2:8-10) It is not possible to harmonize the teachings of the Watchtower regarding Jesus' presence and God's kingdom being established in 1914 with the inspired Scriptures. In fact, none of the prophecies regarding Jesus' presence have yet been fulfilled, although the things the Bible foretold that lead up to his presence we are seeing taking place. The same holds true with some other things that we are finding inconsistent at the moment. For example: At one time, under Judge Rutherford and Fred Franz, much emphasis was put on the theory of types and anti-types, which were used to explain almost everything in connection with God's people in our time. Thus, our present understanding of the identity of the great crowd that comes out of the great tribulation is based on the theory that in the type, King Jehu—who was anointed as king by Jehovah to exterminate Baal worship out of Israel—represents in the antitype the King Christ Jesus, and by extension his anointed companions; while Jehonadab—a non-Israelite who shared Jehu's zeal for true worship—was said to picture the great crowd, who were therefore called Jehonadabs, or Jonadabs; who in later years became known as the "other sheep" of John 10:16. Scientists dismiss the Bible's account of a global flood as mere folk legend based on a much smaller local flood. Is it any wonder that most people will also dismiss God's warning of another imminent global destruction of the wicked? And yet, God has preserved for us the evidence that the Flood of Noah's day was an actual historic event, which can be read like other ancient writings preserved on clay tablets that tell of past civilizations and events. The story of the Global Deluge can be deciphered in the rocks and fossil record all over the world. But there is one place on earth in particular where the Deluge story is more outstandingly preserved, to which millions of visitors flock every year,―including geologists, palaeontologists, and other Earth scientists,―to either admire or study this amazing natural wonder. 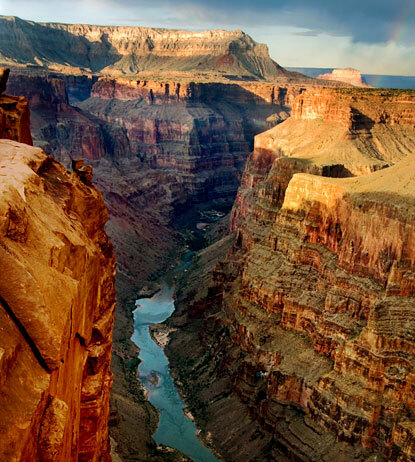 This place, of course, is the world famous Grand Canyon of Arizona. Here, in a certain spot of the canyon, geologists have been puzzling over a phenomenon they call "The Great Unconformity," which, by the way, can also be observed in many other places on earth. 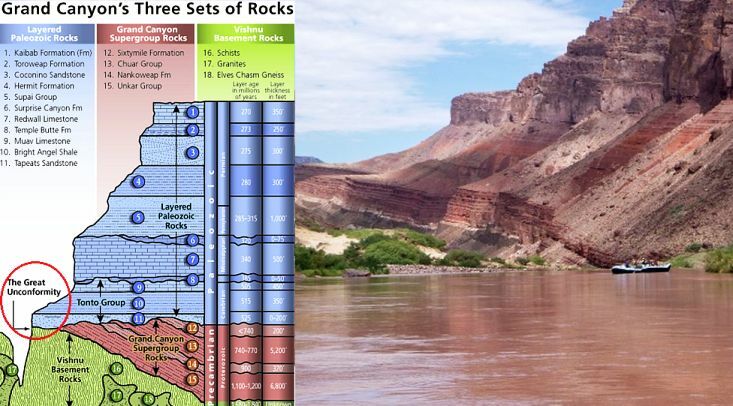 The Great Unconformity presents a problem in that it contradicts their geological time scale and theory on how the earth was formed; and when and how life appeared according to the fossil record. An article published in Phys-Org ("Great Unconformity: Evidence for a geologic trigger of the Cambrian explosion"), said in 2012: "The Great Unconformity has posed a longstanding puzzle and has been viewed – by Charles Darwin, among others – as a huge gap in the rock record and in our understanding of the Earth's history." The Great Unconformity, as it has been called since 1869, presents a problem to the geological time scale as to the formation of the earth and the appearance of life forms as preserved in the various rock strata. For example, the article states that "detailed studies between 1820 and 1850 of the strata and fossils of Europe produced the sequence of geological periods still used today." The sequence of geological periods is measured in millions, even billions, of years. It all seems very straight forward, except for the global inconsistency they have come to call "The Great Unconformity," where the earth experienced a massive and violent transformation in "a blink of an eye," which according to the estimation of geologists can still amount to millions of years. That the earth was once covered by water is evident by the fossils found on top of the world's highest mountain range, the Himalayas. ScienceDaily reports that "About 15,000 feet up on Tibet's desolate Himalayan-Tibetan Plateau, an international research team led by Florida State University geologist Yang Wang was surprised to find thick layers of ancient lake sediment filled with plant, fish and animal fossils typical of far lower elevations and warmer, wetter climates." Also, Nasa's Earth Observatory says: "Everest is the tallest of many extraordinarily high peaks in the Himalayas, including neighboring Lhotse (27,890 feet, 8516 m) and Nuptse (25,790 feet, 7885 m). The mountain range was formed when a large land mass broke off from Africa roughly 200 million years ago and was carried by plate tectonics across what is now the Indian Ocean. When this land mass came close to Asia, it started to push up the land ahead of it, forming a large shallow ocean with rich ocean life. The bones and shells of the plants and animals in this shallow ocean formed limestone and left fossils. As the land mass continued to plow north and collide with Asia, the ocean was slowly raised up and drained, eventually being lifted up to form the Himalayan Mountains. . . The presence of limestone and ocean marine fossils at the top of these mountains is one of the key pieces of evidence cited that advanced the idea of plate tectonics (large chunks of the Earth’s surface moving over molten rock in the Earth’s core) when it was first proposed as a theory in 1915." Does a large landmass breaking off from Africa 200 million years ago,—being ferried across the Indian Ocean, and finally plowing with great force into Asia,—answer the question on how the Himalayan Mountain Range was formed; and why ocean marine fossils are embedded in the rock on top of these mountains? "The Great Unconformity" does not support that theory. And neither do the discoveries made under the two-mile thick ice cap of Antarctica, which indicate that the coldest and most desolate place on Earth once enjoyed a tropical climate. "It was a green beautiful place," said Prof Jane Francis, of Leeds University's School of Earth and Environment. "Lots of furry mammals including possums and beavers lived there. The weather was tropical. It is only in the recent geological past that it got so cold." Similar discoveries have been made under the ice of the northern hemisphere. What accounts for the sudden global change in climate, that quick-froze the mammoths in their tracks? It takes greater faith to believe men's geologic theories than it does to put faith in the Bible's account of the Great Flood of Noah's day. But many wonder: If the mountains were covered by water to a height of almost 25 feet, as the Bible says, where did all that water go? The answer is simple: It is still present in the oceans, which accounts for the fact that 72 percent of the earth is covered in water. The Bible explains: "You [God] clothed the earth with floods of water, water that covered even the mountains. At your command, the water fled; at the sound of your thunder, it hurried away. Mountains rose and valleys sank to the levels you decreed. Then you set a firm boundary for the seas, so they would never again cover the earth." (Psalm 104:6-9; New Living Translation) When one accepts the Bible's account, "The Great Unconformity" is not a mystery at all! In fact, it explains how mountains and valleys, and the deep ocean trenches, were formed in an instant of time,—weeks, months, perhaps even years, but certainly not the millions of years claimed by geologists. It is only when the evidence is rejected that it becomes the enigma Earth scientists consider it to be. When people dismiss the historical evidence of Noah's Flood, they are also more likely to reject Jesus' warning as irrelevant. How large is the universe? Where does it begin and end? Can the universe be measured? If it is finite, what lies beyond? 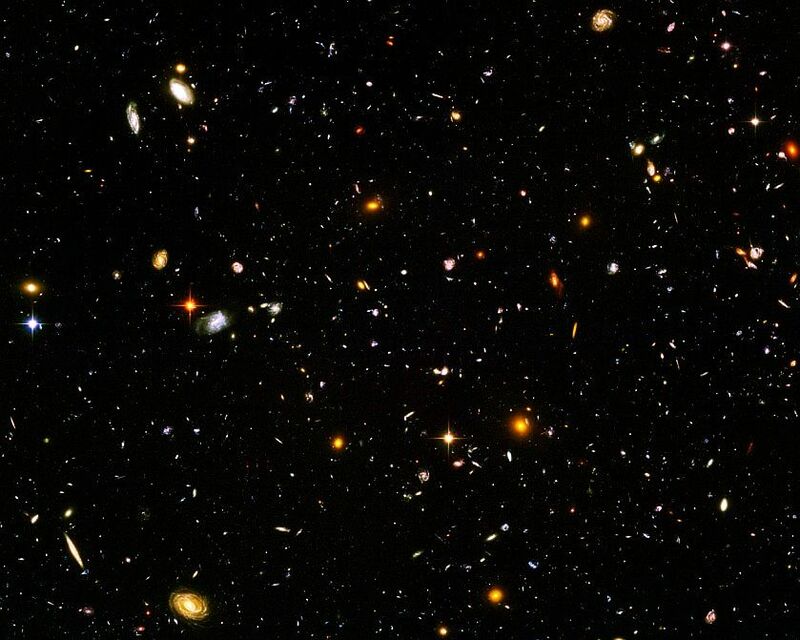 Scientists estimate the age of the universe at approximately 13.8 billion years (a billion being a thousand million, 1,000,000,000). What existed before 14 billion years? Seeing that scientists propose an age for the universe is at least an acknowledgment that there was a beginning; but it leaves the question as to how that beginning came about. Their Big Bang theory leaves the experts with more questions than it provides answers. 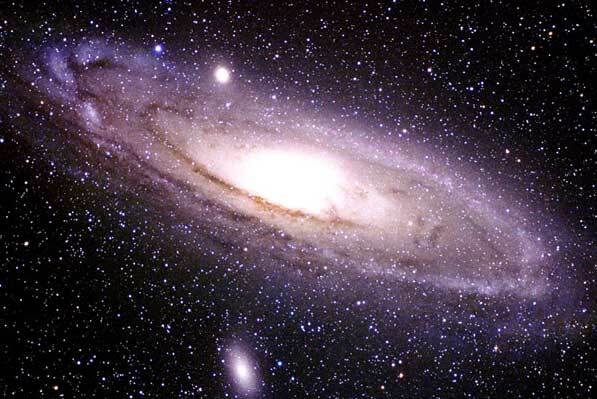 Many religious persons believe that God created the heavens and the earth a mere six thousand years ago. Such "unscientific" claims have caused scientists to dismiss the Bible's account of creation as mere myth, and along with it most of the Bible's other teachings. But the Bible does not even suggest such a young age for our earth or the universe! It merely states: "In the beginning God created the heavens and the earth." (Genesis 1:1) Since it nowhere provides any clues as to when that beginning started, it allows for the billions of years estimated by scientists. Clearly, if the universe were only six thousand years old, would not the greatest distances be limited to the distance light travels in six thousand years? Obviously we would not be able to observe light from galaxies before their existence. The Creator is not pressed for time! A million years, even a billion more, are inconsequential to him. We know that the time arrived when he chose one galaxy out of all the billions that he had created, the one we call the Milky Way. And within this one galaxy he selected one star, our sun. 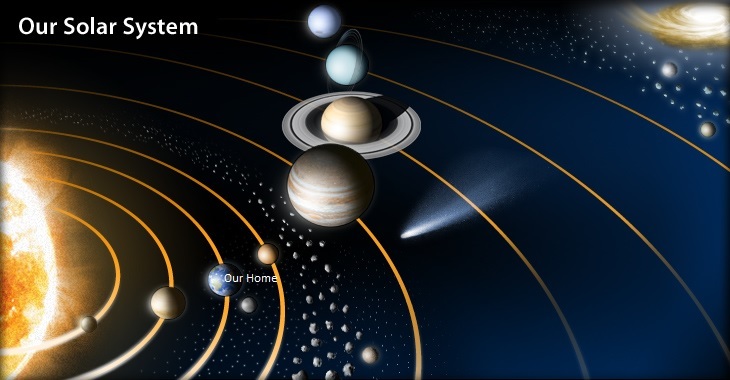 From the eight planets that he had created within this solar system there was one that would be suitable to sustain the abundance of life he purposed to create. But this planet was as yet not ready, for it was enveloped in darkness, and the light of the sun did not reach the surface of the waters that covered the planet. Therefore, the very first step God took in transforming this dark and formless waste into what was to become mankind's home, was to cause the light of the sun to reach the surface of the waters of the earth. The Bible calls this period of time the "first day." Now bathed in sunlight, this blue planet, which was still one large ocean, must have looked amazing in space. If Jehovah had in mind to create only sea creatures he could have left it at that. But his second step was to remove some of the water from the earth and suspend it above the earth,―calling the space in between the waters "heaven," in which the birds would eventually be flying. The next step all geologists should be interested in, for God caused land to appear above the surface of the waters, thus forming mountains and valleys. Of course, the land that now appeared was not newly created, but simply was lifted above the waters by the readjustment of the earth itself; as the geological record testifies. And shortly following this event God caused all sorts of plants, flowers and trees, and bushes to grow. These would not only beautify the earth, but also serve as food for the abundance of life that he purposed to create after this. The time it took for this particular sequence of events is called the "third day," having had a definite beginning and end, which God pronounced as being very good. What happened on the "fourth day" is a bit confusing to some people. No, God did not create the sun, moon, and stars during this stage as some claim, for these had already been created in the beginning. During the third day there was sufficient light for the growth of vegetation, but the source of the light was not identifiable on earth; so, during this fourth period of time God proceeded to clear up the water canopy that was suspended above the earth, thereby causing the sun, moon, and even the stars, to become clearly visible from earth. These would now serve as a means to divide time into seasons and years. "Attend what? On the night before he died, Jesus met with his apostles. At that time, he introduced a simple ceremony, and told them: 'Keep doing this in remembrance of me.' They were to do so in remembrance of the sacrifice he was about to make in behalf of mankind.―Luke 22:19,20." But, some have wondered, if everyone were to partake at the Memorial how would we know who the anointed are, since it is at the Memorial that they identify themselves. Later, after Jesus had dismissed the crowd, the disciples asked him to explain to them the illustration of the weeds and the wheat. Jesus answered: “The sower of the fine seed is the Son of man; 38 the field is the world; as for the fine seed, these are the sons of the kingdom; but the weeds are the sons of the wicked one, 39 and the enemy that sowed them is the Devil. The harvest is a conclusion of a system of things, and the reapers are angels. 40 Therefore, just as the weeds are collected and burned with fire, so it will be in the conclusion of the system of things. 41 The Son of man will send forth his angels, and they will collect out from his kingdom all things that cause stumbling and persons who are doing lawlessness, 42 and they will pitch them into the fiery furnace. There is where [their] weeping and the gnashing of [their] teeth will be. 43 At that time the righteous ones will shine as brightly as the sun in the kingdom of their Father. Let him that has ears listen." We are familiar with many of their names today, although they lived thousands of years ago, because their names are preserved in the Bible. Perhaps you have been named after one such faithful servant of God, like Abel, Joseph, David, Daniel, Sarah, Ruth, Deborah, and many many others. We are also familiar with the names of the apostles, the most popular among them being Peter, John, and Paul. How many people do you know by those names? This is just one way in which God has honored his faithful servants, by preserving their names. But how many names of God's faithful servants can you recall who lived after the death of the apostles? Hmmm. . . . Not many, if any? Does that mean that God did not have anyone on earth who belonged to him during the past eighteen centuries? The Bible has preserved the names of some who died a martyr's death, such as Stephen, "a man full of faith and holy spirit." King Herod did away with the apostle James, John's brother. Jesus also mentions Antipas of the Pergamum congregation. (Acts 6:5; 7:59,60; 12:1,2; Rev. 2:13; Heb. 11:36-38) Since the writing of the Bible was completed towards the end of the first century―with the apostle John's gospel, his three letters, and the Revelation―we should not conclude that God did not have faithful servants during the centuries that followed, right up to our present time. Here are some examples of individuals who kept their integrity under persecution and even death, but whose names may not be familiar to us. Perhaps you have heard of Polycarp who is said to have been an overseer in the congregation in Smyrna in the early second century. (80 - 167? C.E.) Jesus wrote a letter to that congregation a few years prior, in which he commended the disciples for their endurance under much suffering and tribulation. Perhaps Polycarp was already associated with the congregation at that time. According to historical accounts, Polycarp was taught by the last surviving apostle, John; and he is believed to have been one of the chief people responsible for compiling the Christian Greek Scriptures as we have them today. Like many other disciples who were persecuted during that time, Polycarp met a martyr's death in the arena, having been sentenced to burn at the stake for refusing to burn incense to the Roman Emperor. The vast majority of Jehovah's Witnesses today believe that the Watchtower Society is God's household, of which the governing body is believed to be the "faithful and discreet slave." But, as we all know, there was no Watchtower Society in the first century―yet, God had a household. Many find it difficult, even impossible, to reconcile the fact that a secular corporation, called the Watchtower Society, is not God's household; but, rather, that it exists and operates within God's household? They are definitely not one and the same! The Society's presence and position of authority over God's people within his house is not from Jehovah or Jesus. How, then, did it attain its place within God's household which is causing such confusion? Do you feel like a lost sheep? Do you feel like running away, not knowing where to? Perhaps you might want to consider it to be more advantages to remain where there are still brothers and sisters who have a zeal for God, although "not according to accurate knowledge"? (Rom. 10:2,3; 1 John 5:18-20) If you believe that your spiritual life is in danger in your congregation, keep in mind that Jehovah said that there exists another danger, that of a straying sheep becoming food for every wild beast of the field. (Ezek. 34:5) Jesus said that in the conclusion of the system of things, which is the harvest, he will "send forth his angels, and they will collect out from his kingdom all things that cause stumbling and persons who are doing lawlessness, and they will pitch them into the fiery furnace. There is where their weeping and the gnashing of their teeth will be." What will that mean for God's loyal sheep? Regarding any who will be left over after the cleansing, Jesus said: "At that time the righteous ones will shine as brightly as the sun in the kingdom of their Father. Let him that has ears listen." (Matt. 13:39-43; Dan. 11:35; 12:3, 10) The foremost among the wicked that will be removed from God's kingdom will be the Watchtower Society with its governing body. Can you patiently endure until that time, leaning heavily on Jehovah for support? The reward of everlasting life is worth any suffering at this time. Once upon a time, many years ago, it was believed by the formulators of our doctrines within the Society―such as Joseph Rutherford and Fred Franz―that every incident, every experience, and every affair that took place among God's ancient people as recorded in the Scriptures, has a modern equivalence or "antitype" that finds its fulfillment among God's modern Witnesses. The Watchtower of September 15, 1950, defined a "type" and an "antitype" this way: "A type is an image or representation of something that will come to pass at some future time. The antitype is the reality of the thing which the type represents. The type may properly be called a shadow; the antitype, the reality." Many years ago, our publications stated that such faithful men and women as Deborah, Elihu, Jephthah, Job, Rahab, and Rebekah, as well as many others, were really types, or shadows, of either the anointed or the "great crowd." (Rev. 7:9) For example, Jephthah, Job, and Rebekah were thought to represent the anointed, while Deborah and Rahab were said to foreshadow the great crowd. However, in recent years we have not drawn such comparisons. Why not? . . .
"Some writers in the centuries after Christ's death fell into a trap―they saw types everywhere. Describing the teachings of Origen, Ambrose, and Jerome, The International Standard Bible Encyclopaedia explains: 'They sought for types, and of course found them, in every incident and event, however trivial, recorded in Scripture. Even the most simple and commonplace circumstance was thought to conceal within itself the most recondite [hidden] truth ..., even in the number of fish caught by the disciples on the night the risen Saviour appeared to them―how much some have tried to make of that number, 153!'". . . In 1932 it was explained that Jehonadab (Jonadab), King Jehu’s associate, prefigured a class of persons who would enjoy everlasting life on earth. (2 Ki. 10:15-28) The Jonadabs, as they came to be known, counted it a privilege to be associated with Jehovah’s anointed servants and to have some share with them in advertising the Kingdom. But at that time, there was no special effort to gather and organize these individuals with an earthly hope. However, real encouragement was given to the Jonadabs in The Watchtower of August 15, 1934. The article “His Kindness” stated: “Should a Jonadab consecrate himself to the Lord and be baptized? Answer: Most assuredly it is proper for a Jonadab to consecrate himself to do the will of God. No one will ever get life without doing that. Water immersion is merely a symbol of having made a consecration [or, as we would now say, dedication] to do God’s will, and that would not be out of order.” The Jonadabs were thrilled! Under the Footnote, it further adds: "At that time the Jonadabs were not considered to be 'Jehovah's Witnesses.'" How "thrilled" they must have been upon becoming "Jehovah's Witnesses" with the publication of The Watchtower of July 1, 1942.―Proclaimers, chap. 7 p. 83. Like an archaeologist who keeps digging on the same site and constantly keeps unearthing new and interesting items, that is how it is when we read the Scriptures from Genesis to Revelation many times over; there will always be new details and precious truths to discover and add to our treasure chest of knowledge, helping us to grow in wisdom. (Matt. 13:51,52) If reading the Bible on a regular basis is not yet a part of your daily routine, why not start now. You will find that the answer to many of your prayers are contained within its pages. By setting aside just fifteen minutes each day, which averages four pages, you will have read the entire Bible in one year. According to Jesus' own words, it is not possible for anyone to calculate the time of his return. (Acts 1:7; Matt. 24:36, 42, 44; 25:13) But that has never prevented some from trying to do so anyways, even in the first century. There were those in the congregation in Thessalonica who believed that the "presence of our Lord Jesus Christ" was imminent. Paul found it necessary to address their false expectations by telling them that certain developments had to occur first. For example, he wrote that the "day of the Lord" will not come "unless the apostasy comes first and the man of lawlessness gets revealed, the son of destruction." And although, as Paul explained, "the mystery of this lawlessness is already at work," yet this "man of lawlessness" within God's temple would remain a mystery until the time of his being revealed; which at that time would be further evidence that Jesus' presence was imminent; "whom the Lord Jesus will [then] do away with by the spirit of his mouth and bring to nothing by the manifestation of his presence." (2 Thess. 2:1-10) What did Paul mean when he said that "this lawlessness is already at work"; and in what sense did it remain a "mystery" until the time of his revealing? We can glean much information regarding this matter from Paul's letter to the congregations in the Roman province of Galatia, where his preaching had yielded much success. (Acts 14:1-7, 19-23) His work among the Gentiles became known by the brothers in the Jerusalem congregation, which included the apostles and older men, and also those who belonged to "the sect of the Pharisees" who had become believers. (Acts 15:4,5; 23:6) Some from among these disciples in Jerusalem strongly felt that believers of the nations needed to become circumcised, and for that reason "certain men" of theirs went to see Paul in Antioch, after he had returned from Galatia. When there occurred no little disputing over the matter of circumcision, it was arranged for Paul to return with them "to the apostles and older men in Jerusalem." Luke's report of this incident, as recorded in Acts 15:1-32, does not mention some important details that Paul includes in his letter to the Galatians, on whose account the issue on circumcision arose. When Paul says that "the mystery of this lawlessness is already at work," he was referring to the opposition that he had encountered at the hands of some of the "outstanding men" who seemed to be "pillars" within God's temple; and therefore the last place from where he would expect resistance to true worship. (1 Cor. 3:16,17; Eph. 2:19-22) From the letters that Jesus wrote to the Seven Congregations in Asia Minor at the end of the first century, we can see that by then many prominent overseers within God's household had become "lawless," prompting Jesus to call them to repentance. (Acts 20:28-30; Rev. 2:2-5, 14-16, 20-23; 3:1-3, 15-17) Should we be surprised that the same situation was foretold to exist within God's household in our day, in view of what Paul writes regarding the revealing, at God's appointed time, of the "man of lawlessness" within God's temple? As was the situation with the congregations in Galatia, we too are facing the challenge today of taking a firm stand for true worship in the face of opposition from within. 12 Our bodies have many parts, but the many parts make up only one body when they are all put together. So it is with the “body” of Christ. 13 Each of us is a part of the one body of Christ. Some of us are Jews, some are Gentiles, some are slaves, and some are free. But the Holy Spirit has fitted us all together into one body. We have been baptized into Christ’s body by the one Spirit, and have all been given that same Holy Spirit. 14 Yes, the body has many parts, not just one part. 15 If the foot says, “I am not a part of the body because I am not a hand,” that does not make it any less a part of the body. 16 And what would you think if you heard an ear say, “I am not part of the body because I am only an ear and not an eye”? Would that make it any less a part of the body? 17 Suppose the whole body were an eye—then how would you hear? Or if your whole body were just one big ear, how could you smell anything? 18 But that isn’t the way God has made us. He has made many parts for our bodies and has put each part just where he wants it. 19 What a strange thing a body would be if it had only one part! 20 So he has made many parts, but still there is only one body. It was after his resurrection, when for the third time Jesus appeared to seven of his disciples, that he put the question to Peter, "Simon, son of John, do you love me more than these?” (John 21:15) What was the intent of the question? Who or what did Jesus point at when he said "these"? Seeing that there were six other disciples present, including John, many feel that Jesus was pointing to these other disciples of his and he wanted to know whether Peter had greater love for him than the other six; and this is reflected in the way some Bible Versions translate Jesus' words. For example, the Easy-to-Read Version has Jesus asking: “Simon, son of John, do you love me more than these other men love me?” Similarly, the God's Word Translation has Jesus' asking more directly: "Simon, son of John, do you love me more than the other disciples do?" And the Expanded Bible adds their explanation in the main text, although in brackets, that “'these' probably refers to the other disciples (rather than the fishing gear), and could mean 'Do you love me more than you love your friends?' or 'Do you love me more than they love me?' The latter is more likely." Peter and his brother Andrew were fishermen, in the process of casting their net into the sea, when Jesus came walking by and called them to be his disciples, telling them that he would make them "fishers of men." (Matt. 4:18-20) Peter and Andrew were chosen to be among the twelve apostles, and as such they accompanied Jesus wherever he went; being taught by Jesus to continue to do the work the Father had given him to do, after he would be taken from them and return to the Father. That work included the continuing feeding of God's sheep as Jesus himself had done. (Matt. 10:2-4; 24:45-47; 28:16-20; 1 Peter 5:1-4) After Jesus' death and resurrection, the eleven faithful apostles seemed at a loss as to what to do next. According to John's account, Simon Peter, along with six others―including Thomas, Nathanael (also known as Bartholomew), and James and John―returned to Galilee where they were fishing in the "Sea of Tiberias" (another name for the Sea of Galilee) when Jesus appeared to them, although they did not recognize him immediately. Interestingly, it was Peter who decided to go fishing while the others agreed to go with him. But although the fished all night, they caught nothing. It was when Jesus told them where to cast their net, and they caught a great many big fish, 153 to be exact, that they recognized that it was Jesus. When Jesus asked Peter, "do you love me more than these," Jesus was undoubtedly pointing at the stack of 153 big fish that Peter had just now dragged to shore; which at the same time might have reminding Peter that Jesus had told him three years earlier that he was going to make him a fisher of men. What was Peter doing back in Galilee anyways? Perhaps Jesus had not yet instructed his disciples not to withdraw from Jerusalem, but to "keep waiting for what the Father has promised." (Acts 1:4) Peter was facing the choice of returning to his fishing business, or to continue in the course he set out when Jesus had invited him to follow him. Peter undoubtedly had been terribly discouraged by the fact that he had denied Jesus three times on the night that he was arrested, and might at this point have felt unworthy. (Luke 22:54-62) But here now, Jesus was inviting him to feed and care for his sheep. This was in harmony with Jesus' earlier words to him, when Jesus had told him, "and, you, when once you have returned, strengthen your brothers." (Luke 22:32) The Scriptures show that Peter loved Jesus more than all the fish in the world, and he proved outstandingly faithful in feeding the sheep for whom Jesus had died. I agree with our fictional character Jon, the arrival at the date of 1914 is a complicated issue, and one I could never reason on within 7 minutes. To me personally the date of 1914 has no real bearing on my faith in Jehovah and his word, and when it comes to the complexity in calculating dates I find reassurance in Jesus words found at Act 1:6-8: "So when they had assembled, they asked him: “Lord, are you restoring the kingdom to Israel at this time?” He said to them: “It does not belong to you to know the times or seasons that the Father has placed in his own jurisdiction. But you will receive power when the holy spirit comes upon you, and you will be witnesses of me in Jerusalem, in all Judea and Samaria, and to the most distant part of the earth.”"
It's of interest to consider these verses as rendered in The Message Bible: "When they were together for the last time they asked, “Master, are you going to restore the kingdom to Israel now? Is this the time?” He told them, “You don’t get to know the time. Timing is the Father’s business. What you’ll get is the Holy Spirit. And when the Holy Spirit comes on you, you will be able to be my witnesses in Jerusalem, all over Judea and Samaria, even to the ends of the world.”"
This may seem a confusing statement when considering Luke 21:29-33: "With that he told them an illustration: 'Notice the fig tree and all the other trees. When they are budding, you see it for yourselves and know that now the summer is near. Likewise also you, when you see these things happening, know that the Kingdom of God is near. 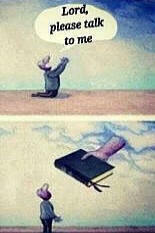 Truly I say to you that this generation (Ps 95:10,11) will by no means pass away until all things happen. Heaven and earth will pass away, but my words will by no means pass away.'" Sorry, that was the long answer but I thought I owed you a full explanation; the short answer is thank you very much for considering me capable of the demonstration but it is beyond me to explain the complexity of a particular date in a limited time frame. Salt has been highly valued for thousands of years as a food preservative, especially for meat, and for that reason many believe that Jesus was telling his disciples that they serve as a preserving factor for the world. That idea is reflected in the way some translations render Jesus' words, such as the Good News Translation, which reads: “You are like salt for the whole human race." Similarly, the Names of God Bible quotes Jesus as saying: “You are salt for the earth." Other Bible Translations emphasize the seasoning quality of salt, and thus interpret Jesus' words as follows: "You are the world’s seasoning, to make it tolerable" (TLB); and the Voice Bible reads: "You, beloved, are the salt of the earth," and explains that "salt draws out the good flavors subtly hidden in food and preserves what would otherwise spoil, as do those who claim to be children of God." Similarly, the Message Bible reads Jesus as saying: “Let me tell you why you are here. You’re here to be salt-seasoning that brings out the God-flavors of this earth. If you lose your saltiness, how will people taste godliness? You’ve lost your usefulness and will end up in the garbage." Salt is recognized in the Bible as an essential part of man's diet and a seasoning for food; and under the Mosaic Law Jehovah commanded that anything offered on the altar to him had to be salted, as Insight on the Scriptures notes, "not because of flavor, but doubtless because salt represented freedom from corruption or decay. Large quantities of salt evidently were stored on the temple grounds for this purpose." (it-2 p. 842 Salt; bold added) Jehovah commanded the priests "not to allow the salt of the covenant of your God to be missing upon your grain offerings. Along with every offering of yours you will present salt." (Lev. 2:13) Salt was added as an ingredient to the incense, which was "salted, pure, something holy." (Exodus 30:35) Ezekiel saw in vision the restoration of true worship, when the Levitical priests were commanded, "‘On your making an end of the purifying from sin you will bring near a young bull, the son of the herd, a sound one, and a ram from the flock, a sound one. And you must bring them near before Jehovah, and the priests must throw salt upon them and offer them up as a whole burnt offering to Jehovah.'" (Ezek. 43:23,24) As we can see, salt symbolized purity which made an offering to God holy and acceptable.